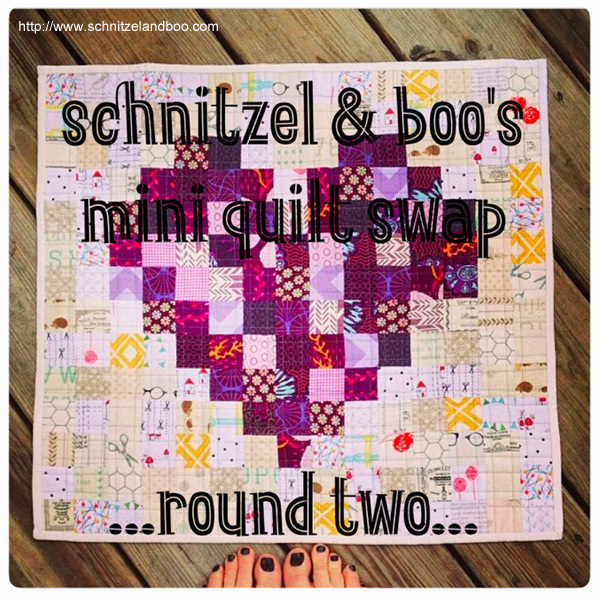 Schnitzel and Boo is hosting a second mini quilt swap! Seeing all the photos of everyone's progress filling blogs and Instagram last year, I was really annoyed I hadn't managed to sign up. This time I was ready and signed up in time. 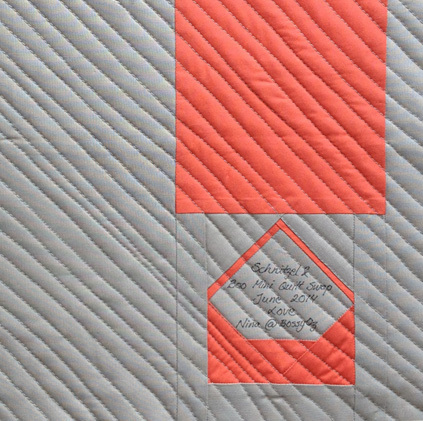 The mission: To make a mini quilt (6"x6" to 24"x24") for someone you may not know, in return someone else is making a mini quilt for you. After sign-up closed, I believe most us (six hundred people!!!! 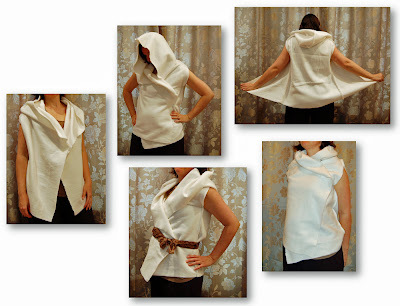 ), were eagerly waiting for the email to tell us who we were making the mini for. When the email finally came, THE BIG STALKING begun! Checking out their various profiles on the internet including their photos, their blog, comments on friend's photos, etc, etc. It has been great fun trying to get to know someone's likes and dislikes in a very short time. Again, a block which required paper piecing, but having already braved it once, I felt a bit more confident on this one; straight lines, how hard can it be? Luckily, I had also seen a tutorial in one of the previous issues of the Love Patchwork and Quilting magazine. For now, I'll only share the back of the mini. 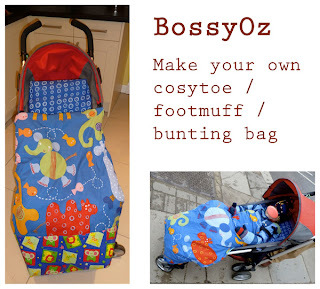 Some further sneaky previews can be found in my Instagram feed, @bossyoz. According to the rules, I need to send off the mini quilt to my partner at the beginning of July, which gives me a few weeks to sort out the final bits like binding and some goodies. Allegedly, there is another swap planned for the autumn. If you don't want to miss out, make sure you follow @schnitzelandboo on Instagram.